A blog tour as many of you know, is a marketing strategy frequently used by self-published authors when launching new books. Although they can be quite effective as a promotional tool, it can be very time consuming for authors to reach out to other bloggers and organize a blog tour. Today, Greg Strandberg tells us about blog tour sites that can assist authors with organizing their blog tours. Have you ever released a book and had no sales? I’m not talking that day or even that week, but a month or even months later. It’s frustrating, and all it seems you can do is watch that Amazon ranking sink lower each day. Well, actually you can’t – you have to have at least one sale to even rank! Thankfully there’s something you can do about it. While many eBook promotion sites require you to have a handful of reviews for your book, blog tours don’t. For those with titles that haven’t had a single sale, this is great. So what are blog tours? Well, they’re kind of what Joel does here each month with the eBook Cover Design Awards – a website showcasing your book. The main difference between blog tours and this site is that you’ll have to pay for blog tours, but you’ll usually get your book in front of targeted readers for your genre. Of course each service is different, and a blog post, cover reveal or author interview won’t necessarily send you shooting up Amazon’s charts, but it could get you some visibility. And considering someone has to see your book 7 to 8 times before they buy it, this is a good thing. So what are these wondrous blog tour sites? Hang on, we’re about to take a whirlwind tour of 7 great blog tour sites! I really like the look of this site, but be aware you have to submit your book at least a month in advance, and also that they’re busy – when I stopped in at the end of December they were booked-up with blog tours until March! So what does YA Bound Book Tours offer that’s so popular? Things get started with a 15-stop Tour for $50 that goes over 5 to 6 days. Prices continue from there, typically going up around $20, all the way up to the 50-stop Tour that’s $200. All of those run 1 to 2 weeks and give you lots of extras like social media shout-outs, emails to the 800+ host site email lists, and some Rafflecopter stuff. What’s great about this site as well is that they’ll do Cover Reveals for free. Let me repeat that – Cover Reveals are FREE! Now, the cover can’t already be up on Amazon or another retailer and there’s no guarantee it’ll be chosen. It’s a great opportunity, though, and you should think about this each time you have a new cover. That last one, Review Queries, is for people struggling to get reviews. The site will get your book to bloggers that will read and review it. Overall I was very impressed with this site and I can’t wait until I get a little money saved up to try out their services! Xpresso Book Tours is another of the premier blog tour sites for your eBook or print book. It has a reach of over 1,200 bloggers, and that means you could be seen by tens of thousands, maybe even hundreds of thousands! What’s more, the site has over 2,800 followers on Goodreads, a reader and author Mecca! The site has done more than 100 successful tours, and there’s an average of 30,000 page views on the blogs each month. You’ll get a basic tour for $100 with 15 stops and they go up to $400 for 40 stops. There are other options, such as cover reveals for $40, that will give you additional exposure. The site primarily caters to romance and young adult readers, so if that’s you I’d stop in fast and see how they can help your book. Enchanted Book Promotions is a wonderful site that will give you a huge page of previous blog tours to look through. The links here will take you to blog posts on those books, many dating back years. This is a great way to see what you’d like your blog tour post to look like. This site has a fun enchanted castle theme going on, and packages are named accordingly. Can anyone say romance genre? It all starts with the Frog Tour for $29 that will give you 4 to 7 tour stops – the perfect way to get your feet wet. The Crown Tour and the Castle Tour both give you more exposure, and you can move up to Deluxe and Party packages for month-long tours or longer. The Empress Package, for instance, costs $249 and gives you a two-month tour with 30 or more stops. Many of these packages will require you to have 2 to 3 excerpts of your book ready, and maybe more if you have a bigger tour. You’ll also need to have the same number of blurbs or descriptions of your book. Remember, you’re probably the best at telling people what your book’s about, and this is your chance to make it shine. Plus, it gives you great practice for that perfect book blurb, which let’s face it, is often fleeting. Bewitching Book Tours is a site that looks great and is perfect for romance authors. It was started by a freelance writer, so you know they know what you’re going through. And for that reason you should get a pretty good deal. $40 for a Release Day Blitz, which gets you out on 20 blogs. $45 will get you 5 to 7 blog posts over a week, and that’s just Monday through Friday here, no weekends on this site. Monthly tours go all the way up to $175. 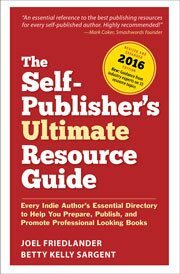 If your book is free don’t feel left out – this site will run your free book for $50, and up to 5 days. You can also add in some Twitter and Facebook social media blasts. Overall it’s quite impressive for the price and if you’re not going to be booking here then I might just take your spot! This is one of the better blog tour sites out there, mainly because it’s run by authors. It might not have the flashiest of designs , but they’ve done more than 1,100 successful tours over 5 years, and they have many successful authors using their services. There are so many different tour packages and service options on Goddess Fish Promotions’ website that I simply can’t list them all here. It really is the mother lode! You can get a cover reveal starting at $45 for 15 to 25 stops. A Blurb Blitz gets your blurb out there to 15 to 25 blogs for $45 as well. If you want to get into the actual tours they start at $45 and can go all the way up to $300 or more for tours lasting a month or longer. This site has lots of experience and therefore deals with nearly every genre. I really think if you only look at 3 sites in this post this should be one of them. I like Sage’s Blog Tours because it’s run by an author. Those sites always seem to be better, mainly because they know what you’re going through. Bronze, Silver, and Gold packages ranging from $60 to $200. You’ll get 10 blog stops over two weeks all the way up to 25 to 30 stops over a month. The site requests that you book 6 to 8 weeks in advance of your release. You’ll also need to get all the documents (cover, blurb, review copy) to them at least 7 days before your first tour date. They also offer some other services like editing and covers. Overall I think this is a pretty good site and one you should look at. What’s so great about Rockstar Book Tours is that it’s FREE. That’s right, you can get your book a great blog tour that will get it out in front of hundreds or thousands without spending a dime! But that doesn’t mean you’ll be listed. Since the service is free lots of people try to get booked. As the site says, if the owners are interested in reading your books you’ll be listed. The site will get you out to 20 different bloggers who will list your book. You’ll typically have 2 sites a day between Monday and Thursday. The tour could end up lasting a whole month, ensuring you’ll get some good visibility. The site offers other services as well, such as book trailers and cover reveals. I think this is well-worth checking out, so stop by Rockstar Book Tours today! All right, that’s 7 great blog tour sites that will help sell your eBook. I hope you check a few out and get some use. I’m not affiliated in any way with these sites, I’m just trying to give you some useful information. Good luck and happy selling! I’d love to hear your experience with blog tour sites. Let me know in the comments. Greg Strandberg is the author of several novels and nonfiction books including his third marketing book for authors, Tour Your Book: 50 eBook Blog Tour Sites That Increase Amazon Sales. He lives in Montana with his wife and young son, and when he’s not writing, Greg enjoys reading, hiking, and biking. To learn more about Greg, visit his website Big Sky Words. photo: gadl via photopin cc Amazon links contain my affiliate code. I have used some of these and had less than desired experiences. One of them I had a phone call appointment with and they never showed up. Check them out – I will never use anyone else! Thanks for the tip. I’ve spent many hours researching good sites to use and will definitely look into IReadBookTours. Just a note- Rockstar Book Tours is NO LONGER a free service. Also, I have used Bewitching Book Tours before and my experience wasn’t that great. I’m currently looking into doing a virtual book tour for my upcoming debut novel “Reckless Beginnings” due to be launched this summer. My question is can the author do more than one book tour or do you have to be exclusive to just one? I think most book tour companies would want an exclusive. It is a question you should definitely ask all the companies you interview. Thanks for the informative blog post, Greg. I’ve written seventeen novels, most in the horror genre, and I have never done a book tour to kick off a new release. Finally, I am beginning to navigate the often murky waters of digital book promotion. I did send a request to Rockstar so we’ll see what happens. In the meantime , I signed up for Bewitching Book Tours $90 (Cast A magic Spell) book tour. I’ll let you know how it goes. Thanks to your informative post, I will definitely launch a book tour to kick off my next new release. By then, with any luck, I’ll know a little more about what the heck is going on with respect to online book promo. Happy New Year everyone! I’m the owner of Silver Dagger Book Tours. I’ve also been running tours for the past year and have successfully run over 400 tours now with all happy customers! I accept ALL fictional genres and indie authors are treated the same as award winning authors with me. I adore series and frequently tour multiple books at once, giving readers the “full treatment” of books. I never reject any fictional books. Rockstar is no longer free as of Jan. 2017.
at all. They always did what they said they were going to do. Sage’s Book Tour was a ripoff. This company uses bogus sites – that have little to no traffic. Some of the sites also go under multiple names. I recently used Sage’s Blog Tours and had a very disappointing experience. I purchased her “Platinum Package,” something she tellingly no longer offers, which promised 30 tour stops. When all was said and done, I received less than half that number of stops. Her communication skills also leave a lot to be desired. Not at all recommended. Thank you for this posting. I didn’t do a tour on my first book but I’ll certainly include it as part of my marketing strategy for the second one. Cheers! Hi there. I would like to update you on Rockstar Books. They are free but it comes with a heavy stipulation. Only “approved” books make it on the show! If there is a subject they find offensive, your book may not make the cut. Send them an email letting them know what type of book you have. This way, you will know a little bit ahead of time before a rejection, if there is one. It’s still worth checking out.